Words really can't express how blown away I was by this collection of short stories. From the very first story until the end, I was drawn in by the characters and Amina Gautier’s haunting words. And I have questions, so many questions. The first short, Lost and Found, is told from the perspective of a young boy that’s been abducted. While the author doesn’t go into detail, thankfully, about what he endures with his kidnapper, she does allow us to go inside the mind of the victim. He’s accepted his fate, but holds out hope that one day he’ll be reunited with his parents. That sets the tone for the rest of the book as characters lose loved ones, relationships, things, etc., but it leaves me with questions. 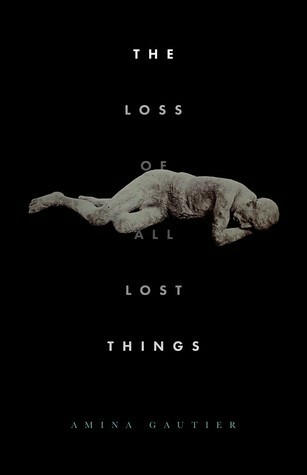 The short, The Loss of All Things Lost, follows a grieving family whose son has been abducted and we see them falling apart, somewhat abandoning their younger son and losing their sense of family. Is this the family of the boy we first saw in Lost and Found? I’m not sure. What’s Best for You describes a lonely, single mother who has dedicated years to raising her daughter, always putting her first. When the opportunity arises for her to date a co-worker, she initially shuns it until she realizes that her daughter is almost an adult and doesn’t need her, but is the co-worker still interested? Has she lost an opportunity to live and love? Or the mother in What Matters Most – has she lost her youth in such a way that men she’s attracted to are now attracted to her daughter? Navigator of Culture highlights the search for identity and self-image, while Disturbance focuses on a sense of loss of values, morals and common sense in a manmade utopia. Every story is different from the rest, but, again, they all tie into the theme of loss. Gautier’s writing is so compelling. I could re-read these shorts a million times and still find something new in each of them. She’s currently on a book tour and hits St. Louis March 3 and I plan to be in the audience. I’m dying to know how she came up with these stories and what her creative process is. Do you have any questions you’d like me to ask her?